1. Download free app 'Smart Life'. 5. Tap 'DISCOVER DEVICES' on the Alexa app. The device will be paired to Alexa App from Smart Life App. 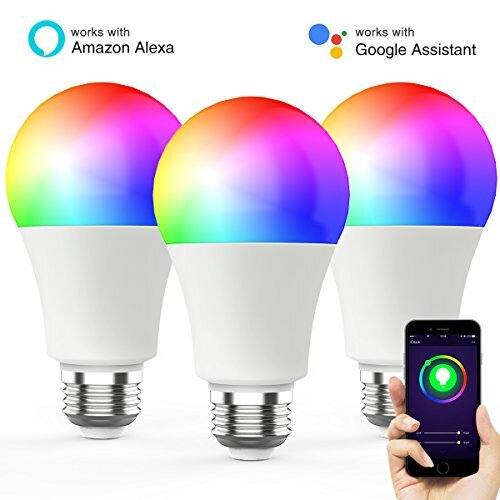 Then you can control the light with Alexa app. 【Voice Control】- Works with Amazon Alexa (Echo/Dot/Tap) and Google Assistant for voice control.